Business Standard Books, a division of Business Standard Private Limited, publishes authoritative books focusing on contemporary economics, public policy, business, and management. A brand extension of the core competence of the newspaper, Business Standard Books bridges the gap between research and policy, theory and practice, by bringing knowledge into the larger public space, thus ensuring a more informed public debate on topics of current importance. Author Mr. A. V. Rajwade is a well-known figure in the Indian financial markets. His work has earned him the respect of people across professions and ages and has led many to seek him out to help understand the intricacies of complex issues. He has authored several books on the subject of foreign exchange risk management, debt securities, etc and currently contributes a weekly column for the Business Standard titled the �The Other Side�. He writes about global and domestic banking and financial markets, monetary and exchange rate policies, India�s balance of payments, growth and other such subjects. BS Learning�s General Awareness is your window to the latest developments around the world. The 3000-question book offers extensive information on the most recent developments in India and around the world. It covers in depth the Insolvency and Bankruptcy Code (IBC), Goods and Services Tax (GST), Demonetisation, RBI policy rates, Budget and Economic Survey 2017, Indian agriculture, the Trump presidency, Brexit and issue such as One Belt, One Road, the recent stand-offs on the Sikkim border, ISRO satellite launches, NASA�s space probes, etc. It takes years of experience and a unique bent of mind to be able to consistently profit from the stock market. Saurabh Mukherjea, ranked among India′s top analysts today, speaks to seven investors who have over the past two decades mastered the art of profitable long term investing. He traces their journey from being amateur investors to professional managers handling vast sums of money; he delves into their mind to understand the unique philosophies that power their investment strategies; and he uses his knowledge of the markets to write an engaging and inspiring guide to investing in India. Family feuds do not just tear businesses apart, they shape them. Breakaway siblings, children and nephews and nieces � when they walk out of the family � spawn new companies and build new empires. But what is it that drives families apart? Why, if blood is thicker than water, does it not cement the cracks before family ties are breached? 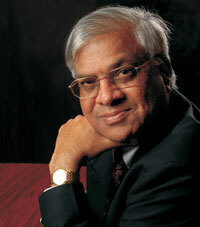 Business Battles chronicles 10 big family feuds in Indian business. Written with journalistic insight and objectivity, the book offers invaluable lessons in the history of Indian family businesses, far beyond that contained within the four walls of a classroom. The Business Standard Quiz Book is a collection of some of the most interesting and challenging questions from the world of business. From the mound of information, that is usually a quizzer�s writing desk; the author has chosen facts, anecdotes and nuggets that would set the reader thinking. The questions are unique � not just for the information they carry, but also because of the way they have been chosen and crafted. Entertaining and engaging apart from adding a lot of value to the reader�s bank of knowledge, The Business Standard Quiz Book aims to tell the reader and the avid quizzer that the pleasure of quizzing is not merely in cracking the tough questions but also in acquiring and assimilating knowledge while trying to do so. This book consists of six different categories carrying 50 questions each. These categories are Brands and Ads, Finance, Management, Technology, Personalities and Trivia. This is probably the 'Mother of All Scams'. The 2G scam surpasses all other past fiddles, not just in terms of the money involved but also in the sheer scale of its audacity. It has exposed how deep crony capitalism runs in India and how laws and processes can be subverted with impunity. The scam dragnet has spared no one -- from politicians to businessmen, from lobbyists to even journalists. Spectrum Grab goes into the roots of the 2G affair, traces its genesis and tracks the people who have given the telecom sector its colour and character. It reveals how the unscrupulous nexus between government, business and the bureaucracy destroyed the promise of the telecom sector. Spectrum Grab addresses the unanswered questions and conspiracy theories to piece together the story behind one of the biggest scandals of our times. Table for Two is a collection of conversations with India's achievers, captured at their candid best over a meal or a cup of coffee. In the company of Business Standard's team of reporters and editors, they open up about what brings them joy, what fuels their despair and the circumstances that have shaped their lives. The book -- a peek into their life and times -- is an exciting read for all who want to know more about the people who shape the country's political, academic, cultural, business and financial landscape. Tax Shastra is a comparative account of the tax administrations of three countries: India, UK and Brazil. The author, Parthasarathi Shome, has worked extensively in these countries and uses his invaluable experience to advocate for India a system that adopts the strengths and discards the lacunae of the three countries. He advocates a model structure that maximises administrative efficiency and minimises the tax gap. Shome believes that an efficient tax administration rests on three pillars: Management and Structure of Tax Administration, Information and Communication Technology and Customer Focus. Thought-provoking and informed, Business Standard India 2012 brings together some of the best known names from the world of finance and economics and social and political economy in its fifth annual collection of essays. Engagingly written, the fifteen original essays in this volume look beyond the established and the conventional as they explore new ideas, break some myths and cast a discerning eye on issues that have dominated the year for India. Rising/Utthan is the story of a small band of volunteers who since 1981 have attempted to help communities in some of Gujarat's most difficult regions transform their lives and environments. Four young women, equipped with enthusiasm and what one of them was later to describe as �foolishness and fun�, set out for Bhal in the barren mud flats of coastal Saurashtra. Joined there by another remarkable woman leader, and soon by other women and men, they began processes and institutions which have had a profound effect on all those who have participated in them � as well as on Gujarat, India and the world beyond. This is their story, as well as of larger forces that have transformed India and the globe, leaving the struggle for justice and equity more complex than ever. Rising addresses all those who have an India of their dreams and a determination to work for it. The fourth in the widely-appreciated series, Business Standard India 2011 engages with the vital issues confronting India today, by presenting expert viewpoints and analyses. The invited authors are economists, political scientists, industry pioneers and business analysts�all leaders and insiders, with names that are familiar to a discerning audience. With the benefit of their unique vantage points, they size up the contemporary scenario while scanning the horizon. "Automobile journalists are a very small tribe in India and those who can write eloquently on cars are an even rarer breed. Bijoy clearly belongs to that special class and is, in fact, one of the most gifted writers I know. ... I am delighted that he has compiled a selection of his writings into a book. ... It’s a great read!" "... very few people get to have driving experiences of the sort Bijoy has enjoyed! ... I’m very pleased that he has chosen to put them down in ink in a unique, emotional and almost poetic way that only a man who has petrol flowing through his veins can.... And having known Bijoy for over a decade, I can assure you that he does!" "Enthusiasm backed by a keen sense of detail as well as good insight into the world of automobiles ... This book was long overdue!" In the National Interest: A Strategic Foreign Policy for India. Foremost among the perspectives that inform foreign policy is national interest. Recognising this, as also that national interest as the overriding paradigm in the conduct of India's foreign policy has been ill defined till now, this forward-looking analysis sets the stage for the years to come. This multi-disciplinary study clearly identifies India's national interests in its external interface and cogently weaves these into its external policy. It thus provides effective benchmarks for the conduct of policy by charting a strategic path over this decade (2010�20). Drawing upon specially commissioned theme papers, In the National Interest presents a balanced and informed narrative on India's foreign policy for the future and, as such, will appeal to a wide range of readers from the arenas of policy making, academia and business, as well as the interested general reader. India needs to make significant improvements in its public health scenario. Addressing this challenge, India Health Report 2010 provides a direction for India's health sector. It examines the status of health in India by bringing together data and information from government documents, health economics and policy literature, and a host of other sources. It critically examines the performance of various components of the sector. Providing a holistic understanding of the health scenario, the report describes the achievements of health policy�and the factors that have facilitated them�as also the hurdles that have come in the way of good health for all. This data-rich analysis will not only be invaluable for policy makers, but also for academia, the corporate sector and all stakeholders in the healthcare sector. The poverty of data in India has meant that innumerable government policies have been structured with inadequate data. Caste in a Different Mould corrects this anomaly as far as caste-based reservation is concerned. This is the first attempt to use a cross-country sample to quantify the impact of education, urbanisation and occupation on the income levels of different caste groups. Powered by data from the country's premier research organisation, the National Council of Applied Economic Research, this volume goes into uncharted territory, opening up new avenues for debate, all with the aim of providing clarity on the vexed issue of caste-based inequality in India. A must read for anyone interested in understanding contemporary India. Business Standard India 2010 engages with the vital issues confronting India today, by presenting expert viewpoints and analyses. The invited authors are economists, political scientists, industry pioneers and business analysts�all leaders and insiders, with names that are familiar to a discerning audience. With the benefit of their unique vantage points, they size up the contemporary scene while scanning the horizon. The Sudoku of India's Growth finds the key to India's journey to high growth, and identifies areas which have been, and will remain, crucial in the future: good governance; labour and education reform; entrepreneur-led growth; and administrative and institutional changes. Arvind Virmani analyses independent India's chequered growth history. Starting from the environment that preceded the market reforms phase, he scrutinises policies and strategies and the reasons why some worked while others failed. Not only that, he also studies the one factor that inevitably stymies the upward march�poverty and its attendant evils. This analysis of past experience allows Virmani to recommend a growth path that is steady and secure, and beneficial to all. As someone who has been part of the government in various capacities, Arvind Virmani writes with the advantage of knowing the system. It is only natural that his is a voice of authority. This volume illustrates that perfectly. Byrraju Ramalinga Raju's testimony on 7 January 2009 lifted the veil off one of India's biggest corporate scams. This story is what a team of seasoned journalists from Business Standard tell�meticulously, cogently, insightfully. While prudently unravelling the story and tracing the crisis management scenario, The Satyam Saga, with a Foreword by Kiran Karnik, also examines issues of corporate governance, regulatory loopholes and remedies, and the larger repercussions of a dream which threatened to go sour. As a comprehensive volume that deals with what is India's biggest scam to date, this book provides valuable lessons to all stakeholdein corporate India. With elections looming large, wouldn't you want to know more about the leaders you'll be voting for? Find out about the personalities behind the faces�where they come from, who they are close to, what influenced their politics besides other snippets of information that very few know about. Written by seasoned journalists, and put together by Business Standard, Political Profiles: Of Cabals and Kings presents an objective view of India's 39 most important leaders. A must read for everyone. Following the success of the inaugural volume last year, Business Standard India 2009 brings to you the vital issues confronting India today�an India at the cusp of a fundamental transition. The authors are real-world practitioners who have special insights�economists and administrators, bankers and political commentators, industry pioneers and analysts and policy wonks-all of them both leaders and insiders, with names that are familiar to a discerning audience. With the benefit of their unique vantage points, they size up the contemporary scene while scanning the horizon. What is the 'speed limit' for India's growth, and how can it be raised? Are capital flows across India's borders pushing the rupee out of alignment and undercutting competitiveness? How should economic policies�ranging from monetary policy to the social safety net�be adjusted to the new reality of India's economy and financial systems? In answering these questions, the volume draws on research conducted by the International Monetary Fund's India team over two years. This research leverages the IMF's unique global base of experience and expertise, and the India team's close study of the Indian economy, to provide a perspective on the policy challenges confronting India. identifies future challenges and thrust areas in the quest to reduce urban poverty. Unlike rural poverty, which has been prolifically researched in India and elsewhere, urban poverty has received scant attention. This volume ably bridges this gap and is an extremely useful resource for policy makers, academics, international agencies, non-governmental organisations, and diverse stakeholders working on, and interested in, urban poverty issues. India has entered the unfamiliar and exhilarating territory of success, qualified though this success may be. An economic world where India is not a key player is now impossible to imagine. Challenges�old and new�abound and a lively policy debate is needed to address these and pave the way ahead. Against this backdrop, Business Standard brings to you the first of an annual series, committed to understanding this new India, and contributing to the policy debate. Business Standard India 2008, the inaugural volume, focuses on the sectors that excited the imagination in 2007, and provides a vision for the years ahead. The authors are real-world practitioners who have special insights�economists and administrators, investment bankers and environmentalists, private equity players, industry pioneers and analysts, central bankers and policy wonks�all of them both leaders and insiders, with names that are familiar to a discerning audience. With the benefit of their unique vantage points, they size up the contemporary scene while scanning the horizon. With its focus trained on both the industry expert and the interested general reader, Business Standard India 2008 can be triumphantly termed a collector's item. Mr. Jitender Bhargava Mr Jitender Bhargava has spent 20 years of his career in Air India, 13 of which were as Executive Director. He brings the force of an insider�s perspective and the eye of one who watched the decline in the airline�s fortunes almost from the very beginning. He has written it the way he saw it, without embellishment and with passion. The book is honest, personal and straight from the gut in the way it tells the story of India's national carrier. Your book has been added to the cart.